After just over one year of a three year project, Worcestershire County Council and its partners has signed up its 200thbusiness to the Business Energy Efficiency Programme (BEEP). BEEP is one of a suite of seven ERDF-funded business support programmes operating under Worcestershire’s Open For Business banner. The BEEP programme offers a two-pronged combination of technical support and grant funding to help manufacturing and engineering businesses slash their energy usage and make cost savings. It works across other sectors too, such as distribution, hotels and professional services. “Signing up the 200th business for BEEP represents a key milestone for the programme,” said Christopher Atkinson, BEEP programme manager. “We work with businesses in our target sector to help identify financial and carbon savings. Spending a little time looking at processes, establishing benchmarks and looking at energy savings invariably offers significant cost savings over time,” said Atkinson. “Getting companies to embrace sustainability principles across all operations is often a hearts and mind mission, and this is where our partner organisations are invaluable,” he said. Businesses signing up with BEEP get expert advice from an independent energy management expert – either from the Herefordshire & Worcestershire Chamber of Commerce or Briar Associates and Pro Enviro Ltd, energy consultancy specialists. As part of the BEEP programme, businesses have an opportunity to apply for a grant of up to £20,000. Grants can be used for LED lighting, heating improvements, compressors, fast acting warehouse doors and much more. To register or for more information visit www.business-central.co.uk/beep or call 01905 677888. 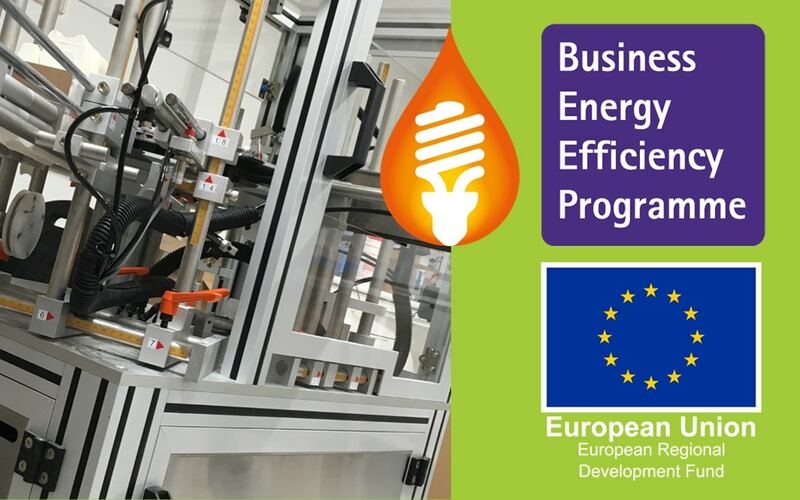 The Business Energy Efficiency Programme is part-financed by the England European Regional Development Fund Programme as part of the European Structural and Investment Funds Growth Programme 2014-2020. Could your Business Benefit from Graduate Talent? Or give us a call on 01905 677 888 to chat with a member of the team.